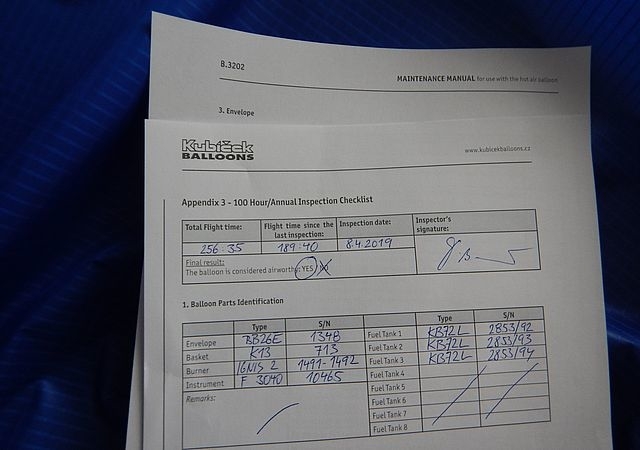 Procedure of Annual/100 hrs inspection was revised and updated and new Inspection Checklist was introduced in the latest revision of Kubicek Maintenance Manual. The Inspection Checklist should help to go through the procedure more easily and faster. Look at the Appendix 3 - 100 Hour/Annual Inspection Checklist from 8-6 to 8-13. Have a nice time, enjoy the season and happy flying!